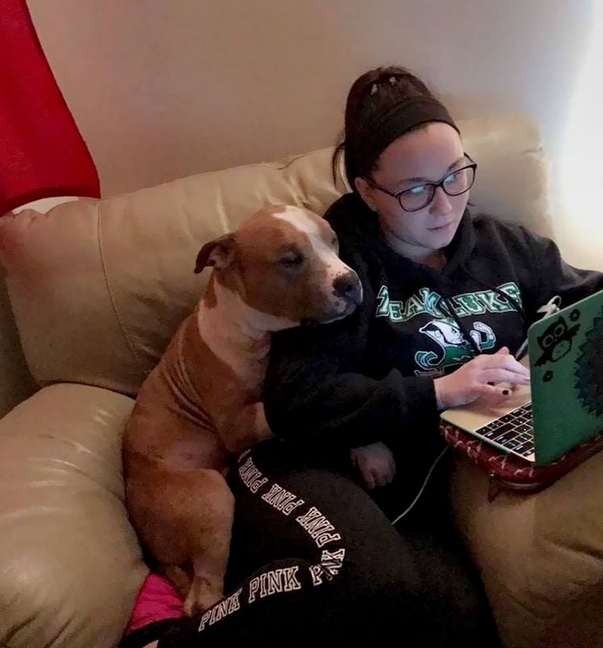 College student Kayla Filoon was just sitting on the couch doing homework with her newly adopted shelter dog snuggled beside her when this beautiful photo was taken. 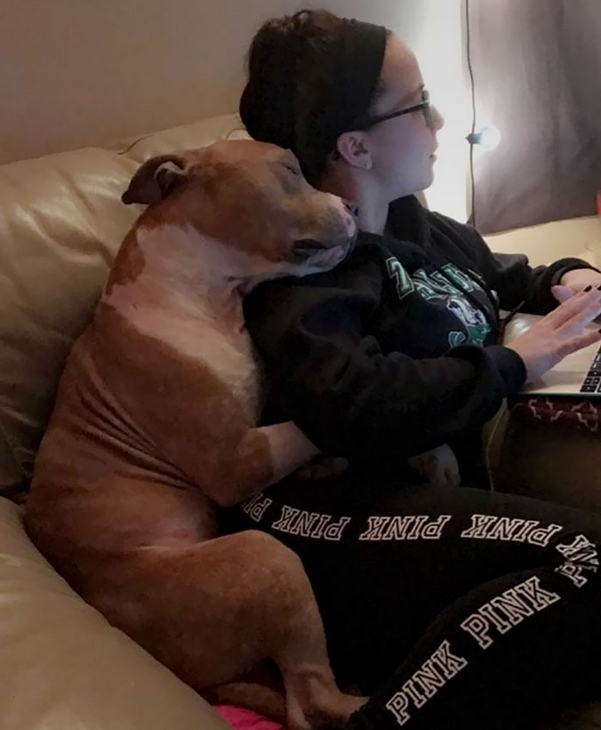 It's the perfect illustration of true love. 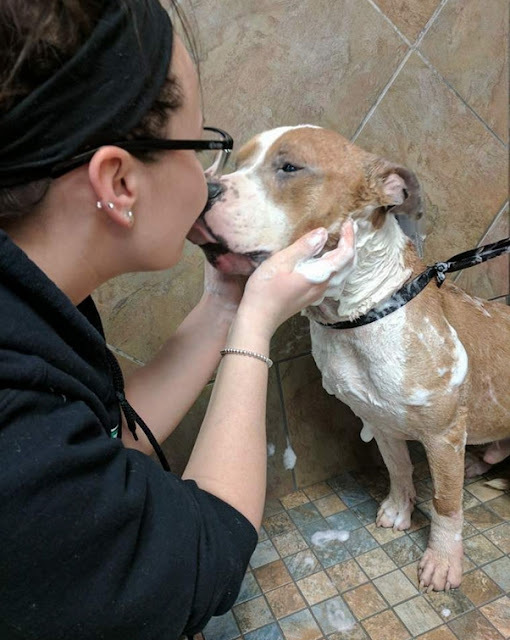 On a recent Wednesday, Filoon — a student at Temple University, in Philadelphia — was walking dogs at Philly's municipal animal shelter. She spotted Russ, who'd come in as a stray, sitting calmly in his kennel. The young pit bull was sick with kennel cough. He had an eye infection and itchy skin, was underweight, and his tail was bleeding. He was very still, and watching, "as if he knew I was going to be his mommy one day," Filoon told TODAY in an email. Filoon brought Russ out into the shelter's yard to play. He walked well on the leash, and took treats gently from her hand. "And he would not stop cuddling with me," Filoon said. "I fell in love." Like so many who've been struck by Cupid's arrow, that night Filoon called her mom to say that she was smitten. She told her friends all about Russ, too. "I actually cried," said Filoon. "I knew it was meant to be." 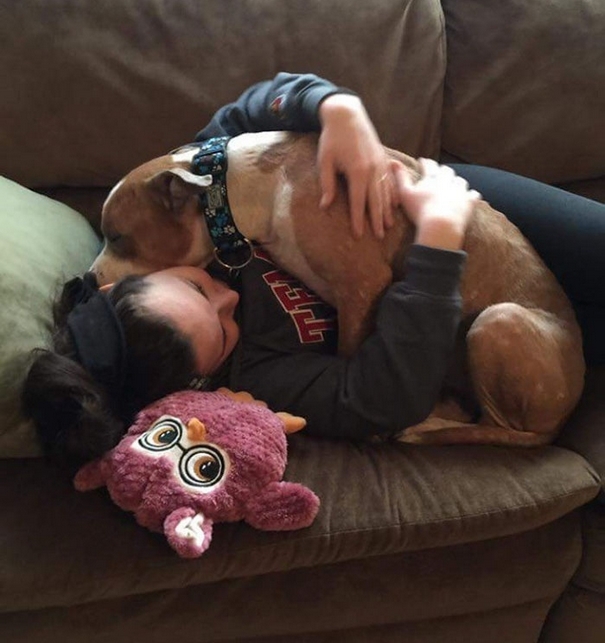 She drove back to the shelter, and put in an adoption application. That was about two weeks ago, and Russ hasn't left Filoon's side since. 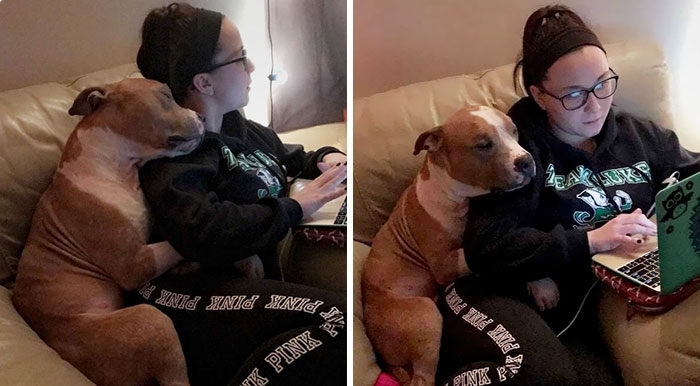 Responses to "Grateful dog snuggles new mom who rescued him from shelter"
I've never seen a dog show love like Russ! He's just profoundly grateful! 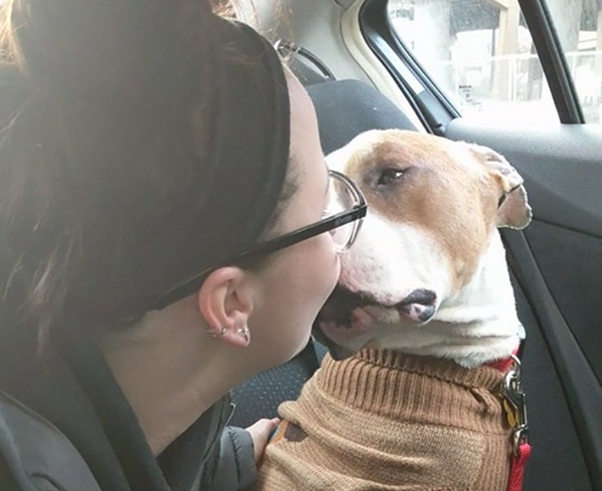 You're awesome for adopting him, Filoon! Best Wishes & Blessings to you both! Have a wonderful Life together! This is the sweetest thing ever! Bless you for adopting this guy..he is truly in love with you and he couldn't be more blessed!